Bandoo application, specifically product version 5.0.2.4762, is a bundled program. What does this mean? Simply, Bandoo, upon installation, installs additional programs, extensions and add-ons to a computer and computer’s browser, without the knowledge of the user. This version of Bandoo concentrates on providing features for entertainment and also functionality/tools for backing up your computer files. 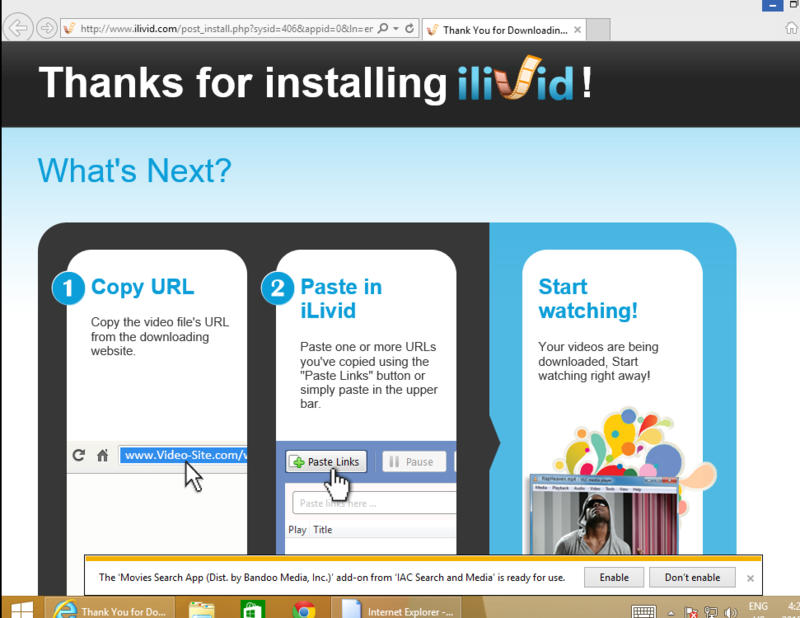 Once executed, the file installs the iLivid Download Manager Software. Digital Signature/Publisher: Bandoo Media, Inc. Recommended: Download Spyhunter to remove Bandoo and other PUPs (Potentially Unwanted Programs). 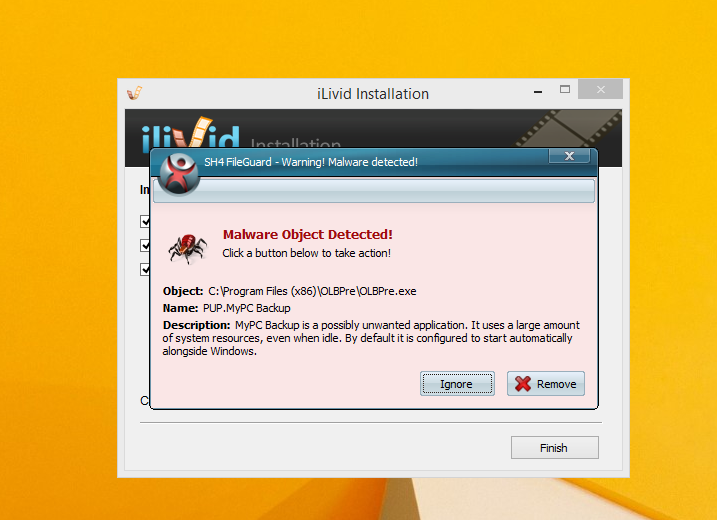 Interestingly, before the installation of Bandoo product version 5.0.2.4762 was complete, Spyhunter detected that the software was a PUP (see image below). After installation was complete, product version 5.0.2.4762 of Bandoo added add-ons and extensions to both Internet Explorer and Chrome Browsers (these were the only 2 browsers used within the assessment). These appeared in the form of a Movie toolbar, providing quick access to movie trailers, reviews, ratings and other video functionality, and ‘Ask’ (Ask.com) search engine. Image 1: Spyhunter detected Bandoo as a threat during installation. Image 2: Spyhunter detected Bandoo as a threat after installation was complete. 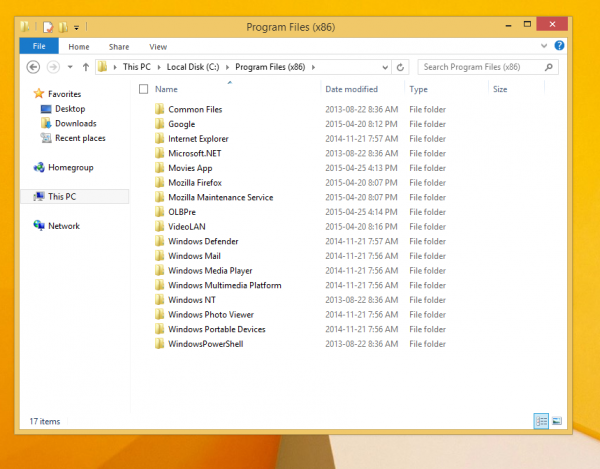 Along with the 3 programs installed as a bundle, a new folder was found within the computer’s local drive. This program was termed OLBPre. 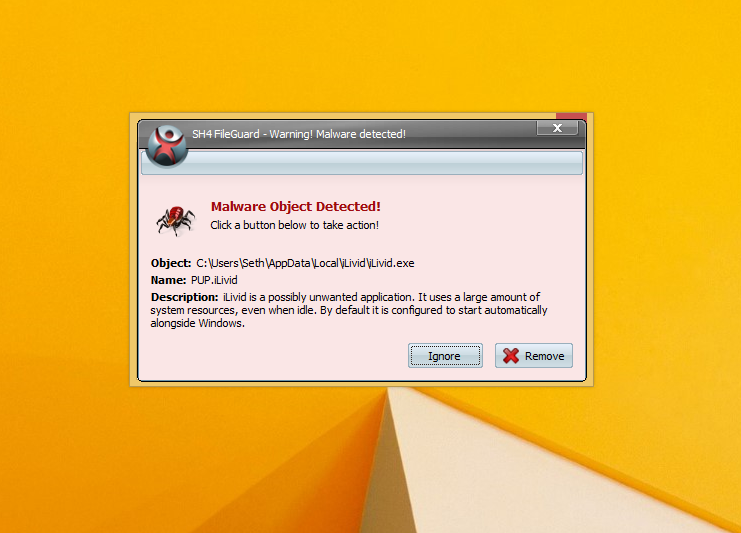 OLBPre.exe is reputed as a dangerous adware that weakens the security settings of a computer system. It’s also covertly used for dropping files on a targeted computer, often without the user’s consent or knowledge. Step 1: from your desktop, right click on the ‘Start Button’. A menu box will then appear. Step 2: from the menu box, click ‘Search’. Step 3: enter “Programs and Features” within the Input Box. Step 4: locate the installed apps. 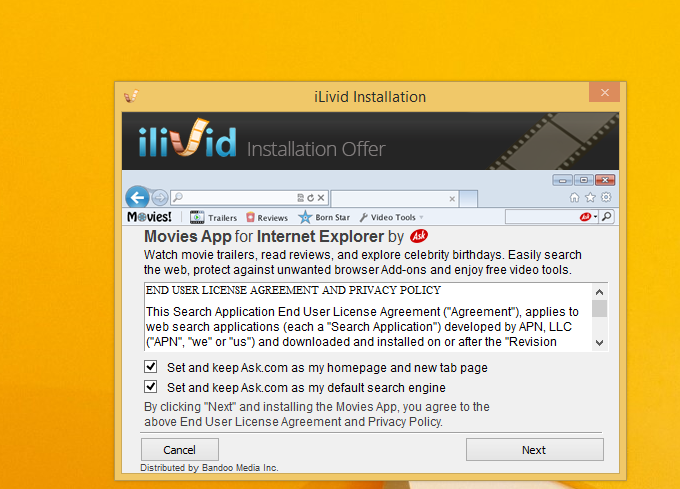 You should be able to see “Movies Search App for Chrome” & “Movies Search App for Internet Explorer”. Step 5: right click on the names of the Apps (the ones you want to remove) when you’ve located them. Note: you will have to remove the apps one after the other. Step 6: after right clicking the app, click the uninstall option (probably the only option available anyway). Note: If a box appears asking If you wish to ‘block’ or ‘allow’, select the allow option. That’s just the Publisher’s way to annoy you out of uninstalling the app. Step 7: follow instructions until the app is fully removed. Step 8: repeat steps for the other app. Step 1: Open your Internet Explorer browser. Step 2: Click the tool option located in the top right hand corner of the page. Step 3: Click the “Internet Options” option. Step 4: Under the “General” tab, you’ll be able to see approximately 3 buttons. Click the button labelled ‘Use Default”. Step 5: At the bottom right hand corner of the pop-up menu, select the “Apply” button and “OK”. That should do the trick. Step 1: Open your Chrome browser. Step 2: A pop up box will be visible. Step 3: Click the “Remove from Chrome” option. After removing the extensions/add-ons, perform another scan with Spyhunter. You’ll pick up a few threats. The second scan should clear up everything. To completely remove Bandoo from your computer, click here to download and install Spyhunter.